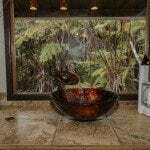 Looking for luxury in Volcano, Hawaii accommodations? 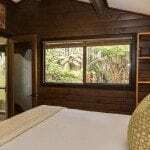 Chalet Kilauea Hotel is our upscale luxury boutique property with 6 amazing “better-than-any-hotel” rooms. 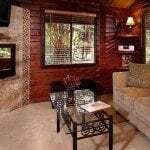 The rooms are nestled in the pristine rainforest. 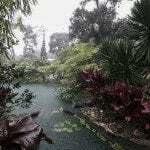 And a 5 minute drive to Volcanoes National Park. 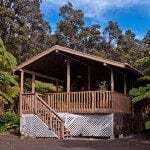 Unique in every way, our Deluxe Bungalow at the Chalet Kilauea is stand-alone and very private. 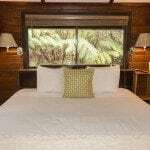 The Queen bedroom is designed specifically for viewing and enjoying the surrounding rainforest. 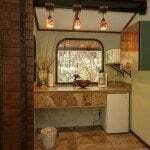 The bathroom in the Deluxe Bungalow is lava-inspired and truly one-of-a-kind. 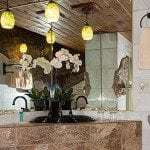 Handcrafted with white crystal marble and stone, a double jetted tub, and a stone art glass shower perched above the rainforest. 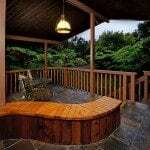 Evenings are perfect for relaxing on the large outdoor slate-covered lanai with a cozy fire in the chimenea. 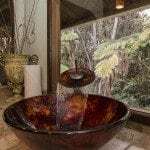 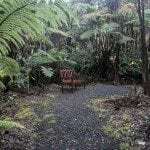 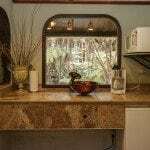 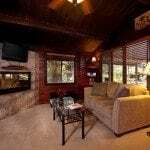 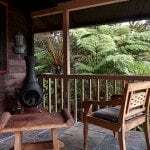 Included amenities of the property: Tea and coffee always available during office hours, free wifi, use of the outdoor jetted hot tub in Chalet Kilauea Hotel’s garden gazebo, free parking, and daily housekeeping.